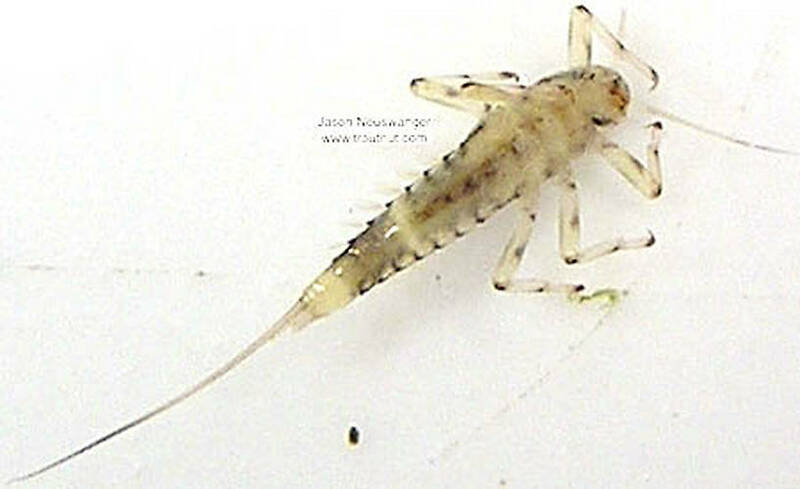 This Baetid nymph has no tracheation on its gills, no distinct bands on its tails, and a rounded, oval 7th gill. Abdominal segments 5, 9, and 10 are pale. 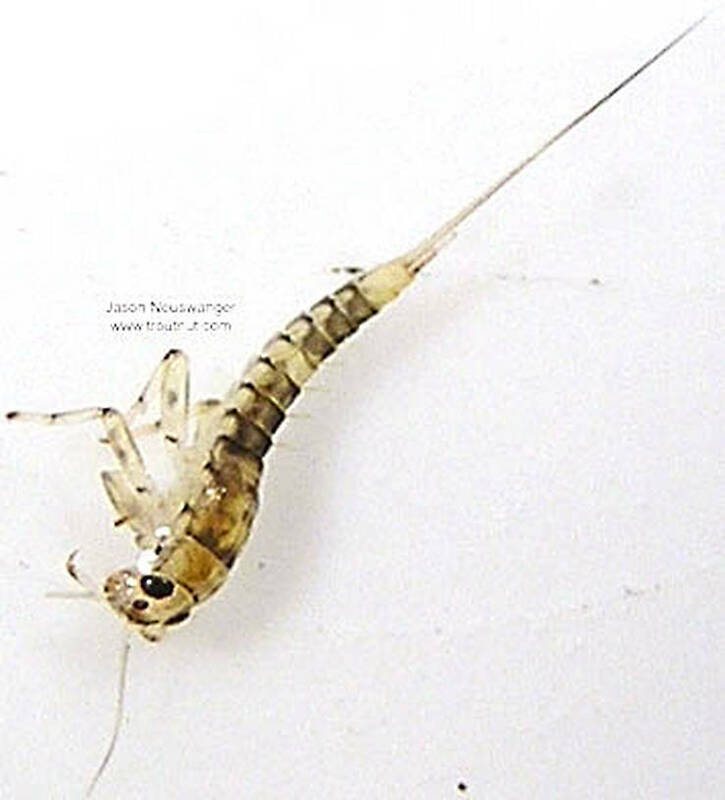 This mayfly was collected from unknown on February 5th, 2004 and added to Troutnut.com on January 25th, 2006.